Here at Code Engineered Systems we have been installing, replacing, and repairing shingle roofs for decades. With more than 40 years of residential roofing experience and thousands of shingle roof installations & repairs under our belts you can feel confident that elite roofing experts are on the job. Additionally, all of our roofing work is 100% guaranteed and backed by a materials & labor warranty. We know that the longevity of our company is dependent on our reputation. We consider every roofing job we perform as an investment in our reputation as we know the value of word of mouth advertising. 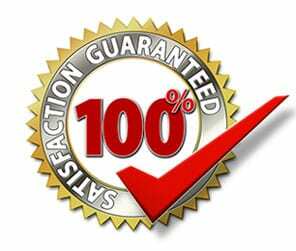 It is our primary goal to ensure every single one of our customers is 100% satisfied. We have shingle roofing experts and crews ready to replace or repair just about any size & type of shingle roofing system available on the market including single-layer 3-tab shingle roofs, architectural dimensional layered asphalt shingle roofs, or we can install designer specialty asphalt shingle roofs. There are hundreds of shingle styles and colors available by many different shingle manufactures allowing you many options to find the perfect shingle roof for your home. We will provide you with shingle samples and options that will fit into your design choice and of course your budget. We provide FREE ROOFING ESTIMATES for the entire Tampa Bay area & the Florida Panhandle from Pensacola to Destin. For a FREE ESTIMATE please fill out our free estimate form and we will contact you within 24 hours.